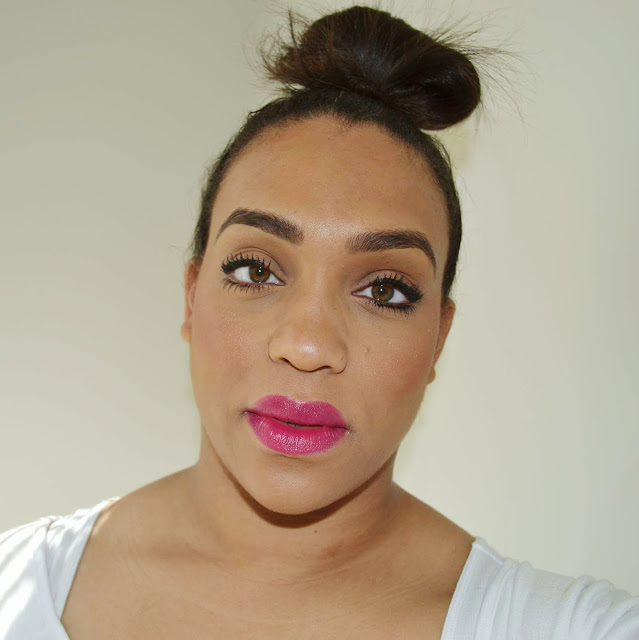 I've seen Billion Dollar Brows on Hautelook (one of my favorite shopping sites!) several times, but never really gave them a thought because I've been so happy with my Anastasia Beverly Hills products (I've been using DipBrow and BrowWiz, both in Chocolate). 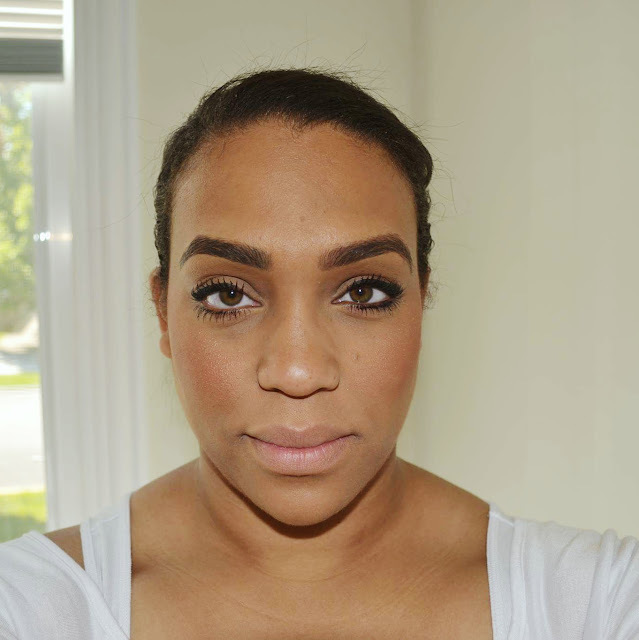 But, this brand wanted to send me their brow pencils to try out and I was happy to try them out! Billion Dollar Brows sent me their Brows On Point Micro Pencil in 4 colors - Blonde, Light Brown, Taupe and Raven. 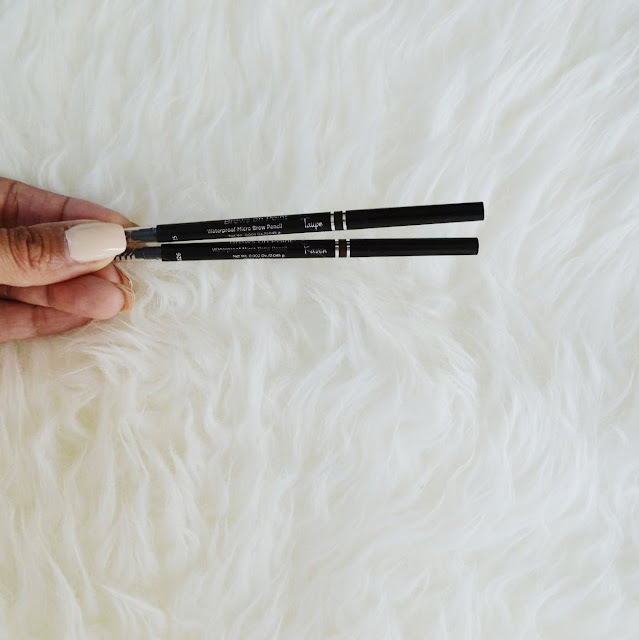 Billion Dollar Brows states that this super fine, self-sharpening pencil makes it easy to create hair-like brush strokes to fill and accentuate your brows. 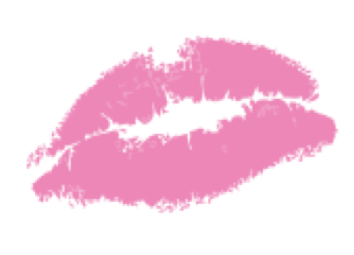 It is supposed to be water- and smudge-proof and is easy to apply. This is me before my brows were done. 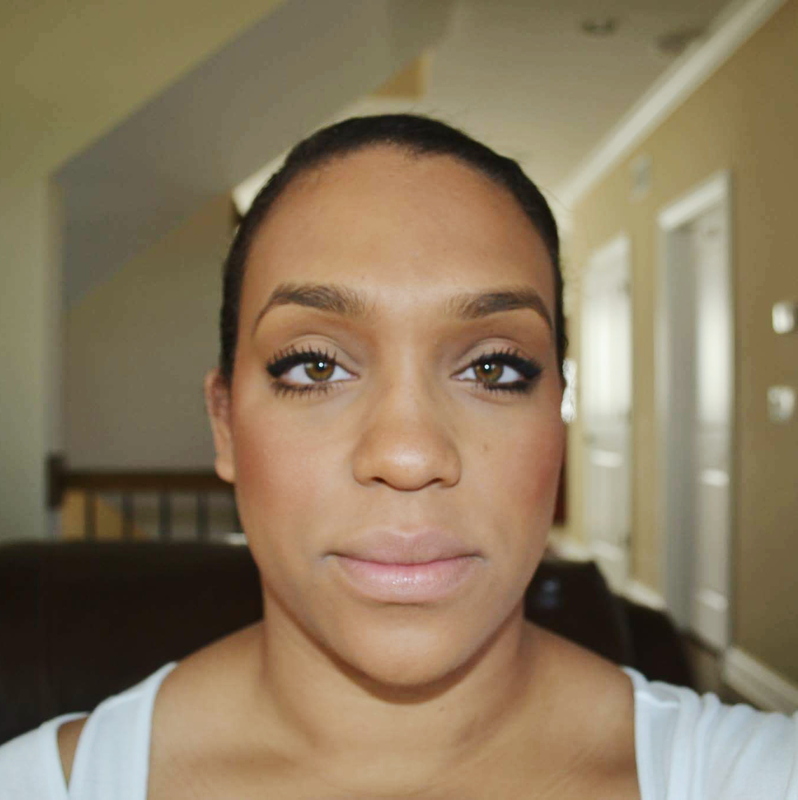 I couldn't decide which color would work best for me so I decided to do one brow with Taupe and the other with Raven. Brow on the left is done with Raven. Brow on the right is done with Taupe. I decided that Taupe was the better color for me as my hair is highlighted and I think Raven is just a bit too contrasting. I will say that I really like these pencils!!! Just as advertised, they glide on easily and the fine point makes them easy to work with. I happened to test them on a day when I was going to be outside playing with my kids in their baby pool and doing some yard work. It was 80 degrees, so the waterproof factor was tested well. My brows stayed in place all day! 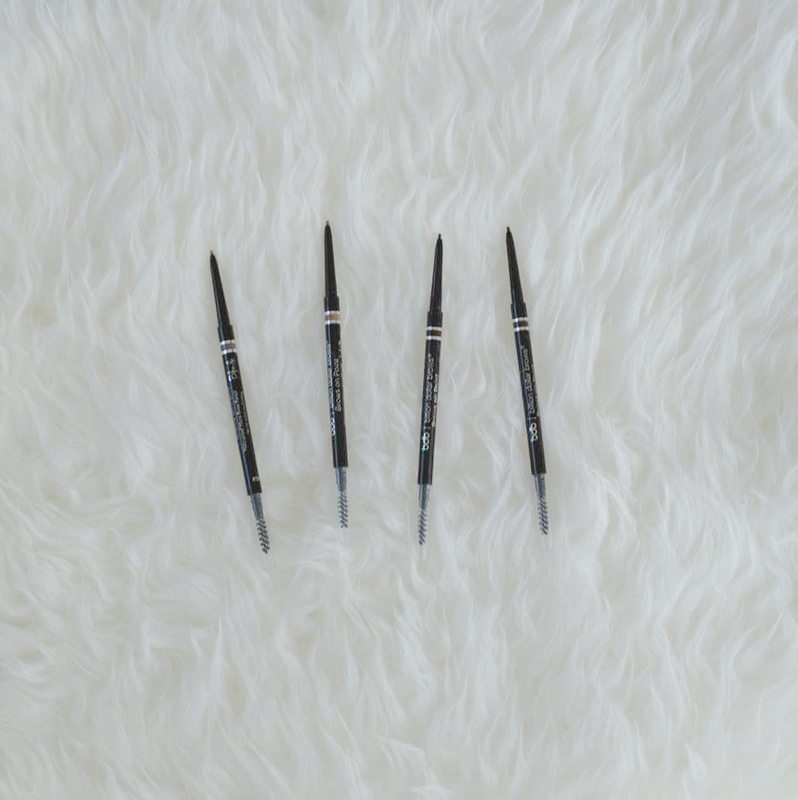 One cool feature of Billion Dollar Brows is that they have a subscription service! You can have your chosen pencil (they offer 3 different types) and color sent to you automatically every 30, 45 or 60 days. That way you don't have to worry that you'll run out and be brow-less while you wait for your new pencil to arrive in the mail! That I like! The price point in very competitive. The Brows On Point Micro Pencil runs $16, which is cheaper than Anastasia's Brow Wiz, which runs at $21. And I think it's a very comparable product! I currently have a big collection of brow products, so right now I won't be joining Billion Dollar Brows subscription service. But I'm glad that I have these in my collection now! Once I run out of my current products, I know what I'll be reaching for!